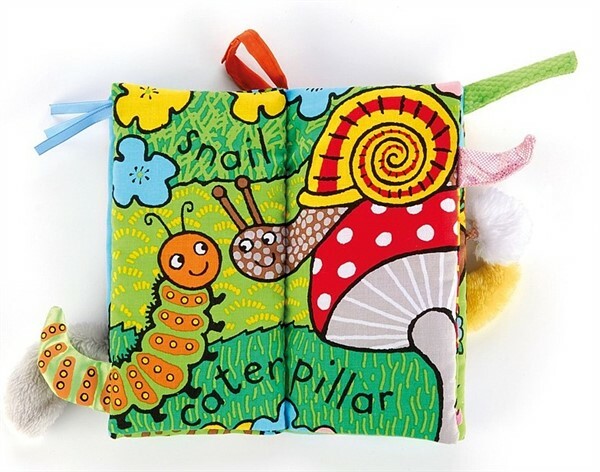 Your baby will have fun discovering the magical world of the garden with new friends, the shiny striped tailed caterpillar, bumby tailed dragonfly, the fluffy cotton-tailed bunny and many more! 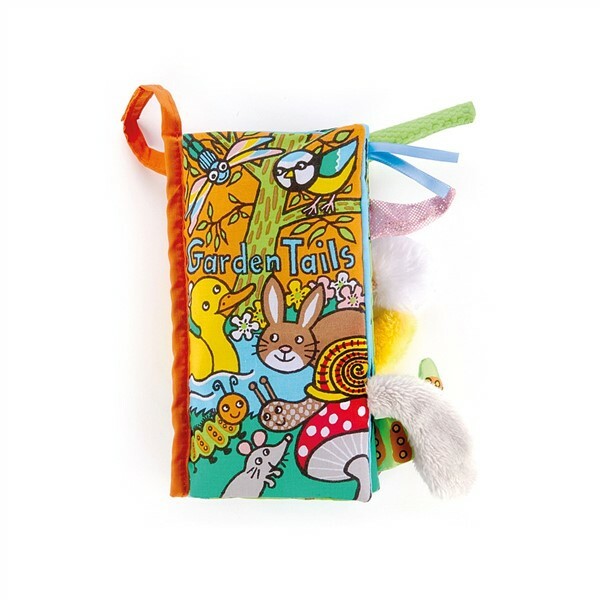 A fun tactile cloth activity book to share with your little one. It measures approx 8" x 4.5", makes a crinkle sound and has a Velcro tab to attach to the stroller or car seat. A great shower, Easter or early birthday gift.